Pulling out the Rug from under Elsevier - sign your name on the petition! Apparently despite all the negative attention and criticism of Elsevier's abuse of wealth and power to stifle scientific knowledge behind steep paywalls, the executives of the corporate academic publishing giant have no regrets and simply have not gotten the message, despite their precious RWA bill being D.O.A. in congress. 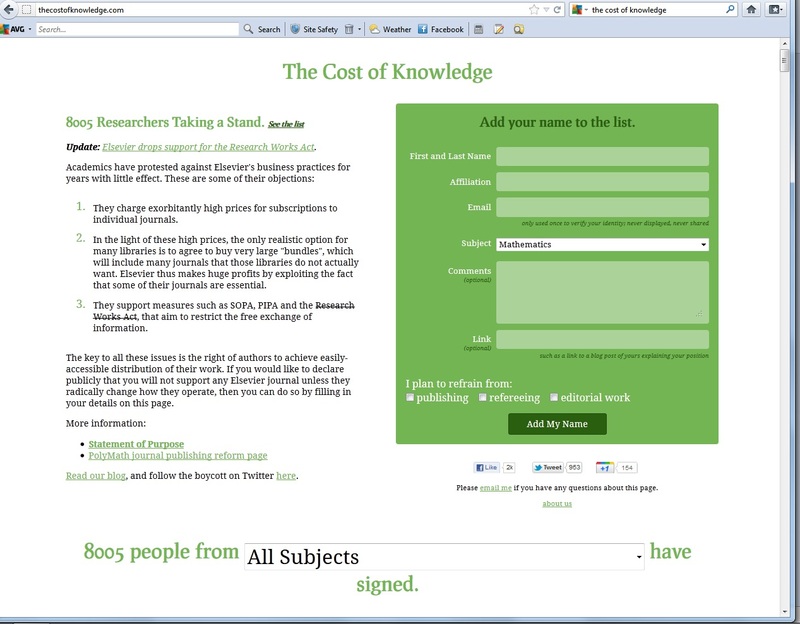 ...access to journal content has never been better. Despite difficult economic times, Jisc Collections, which represents more than 100 UK universities, entered into new five- year agreements with Elsevier and Wiley Blackwell in December, welcoming the new and improved terms offered by both publishers. This is a different world from the 1990s, when journal articles were only available in the print libraries of major research universities. This is an outrage - the "system" Clark speaks of only "works" for him and his corporate cronies. For the scientist who is forced to sign away the rights to his research FOR FREE to Elsevier, only to have Elsevier turn around and charge 33% profits on the same article, the system is broken and insanely unfair. And you expect us to believe that access to journal content has never been better, Dave? Don't you mean to say that your shareholders' bottom line has never been better? It's certainly bounced back since 2009, though unless you're a billionaire owning untold scores of their class-A stock, the actual percent return on investment is pretty ho-hum and blue chip-ish. 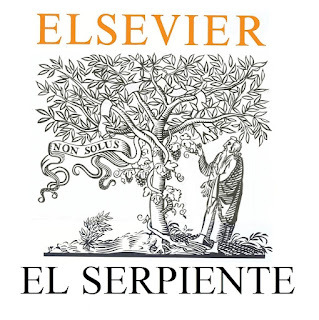 Furthermore, there IS an alternative system to Elsevier, and it works just fine - plus it's been around for quite a while. Ever heard of PLoS, David? Of course you don't talk about it, because it's the vanguard of the new open-access academic publishing wave of the future. 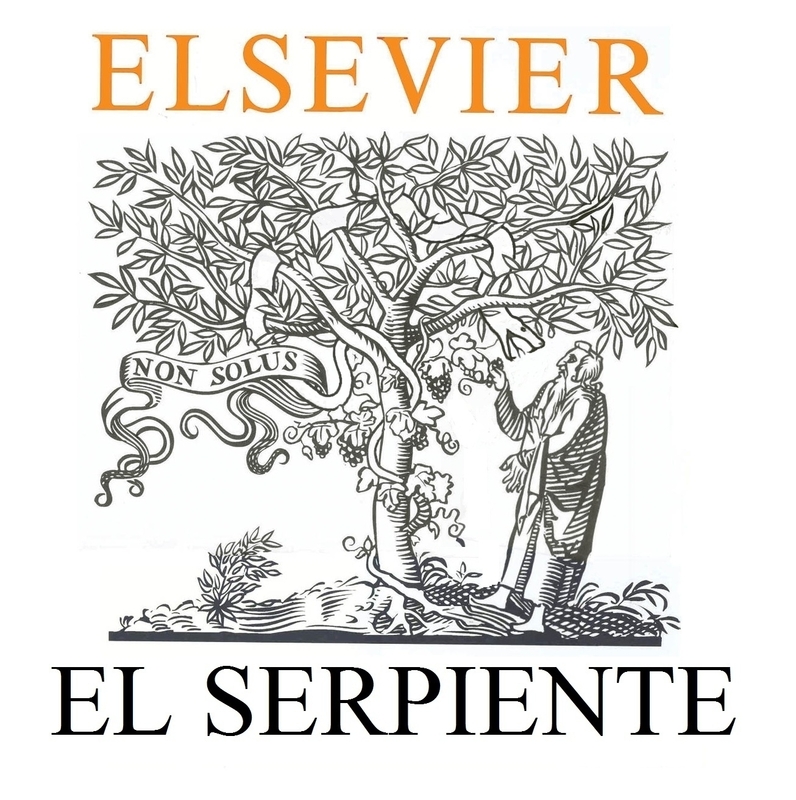 The wave which will bury Elsevier's outdated and feudalistic business model. This business model is indeed fantastically strange: 'Write, edit and review articles for us for free, and we will then sell them back to you at enormous cost'. It should make anyone with a shred of justice and ethics want to vomit all over Elsevier. 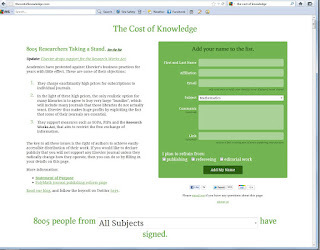 If you have not yet signed the petition to boycott and divest from Elsevier over at The Cost of Knowledge, please head on over and do so. I've done it already, and as of today over 8,000 scientists and concerned citizens have done so. 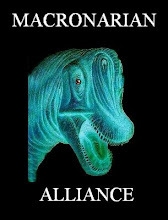 Also be sure to sign the Alliance for Taxpayer Access petition. You pay taxes, you deserve to have access to taxpayer funded research! It's only logical. Don't let corporate publishers steal science. And if you have any news on the hypocrisy of El Serpiente executives, feel free to post it in the comments here. If Elsevier wants to steal the fruits of our labor, lets make it a burning, painful theft they will sorely regret.